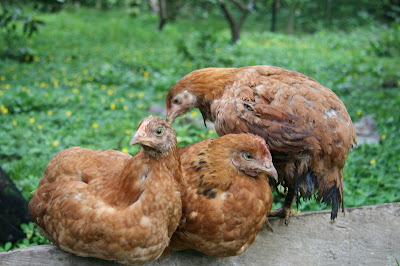 These Free Range Sunshine Chickens help our farm by literally chasing insects like grasshoppers and caterpillars. They also eat weeds and weed seeds. We just have to watch where they're going because they love salad greens. Sometimes I imagine them singing "the best things in life are free..."